Modena’s fame comes from fast cars and sweet vinegar, but there’s much more than its racy reputation –this city is one of the most underrated in Italy. Its classy historic center packs a cultural punch with its monuments, museums, art, and entertainment. No wonder Modena consistently ranks high on Italy’s quality of life index ratings. Modena is a medley of contrasts—industrial might and traditional crafts; high-powered cars are made here yet most people use bikes. It’s refined and yet provincial. It gave birth to classical tenor Pavarotti but also rebel rocker Vasco Rossi. Its culinary hallmarks range from humble but beloved gnocco fritto (fried dough) to the celebrated restaurant Francescana, heralded as the best in the world. The city is vibrant, but just 10 minutes away lies bucolic countryside striped in vines and dotted with castles. In short, Modena has it all. Sitting prettily on the ancient Via Emilia, Modena is well-connected and well-heeled. The lords of the powerful Este family made sure of that, taking a former Roman city and turning it into an urban gem. The palaces, churches, and monuments are richly adorned and a feast for the eyes everywhere you look, infusing your everyday errands with beauty. 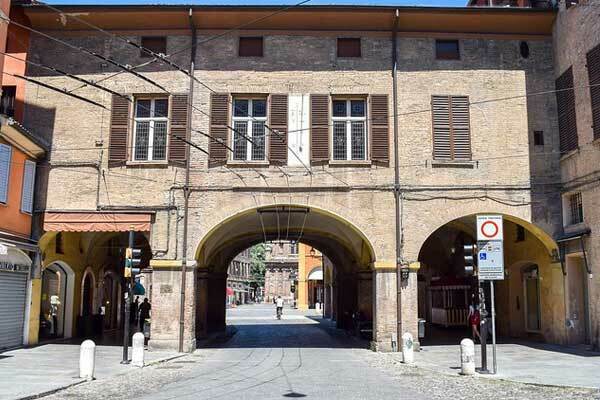 Like most cities in Emilia-Romagna, Modena is graced with miles of porticoes that lend class (and practicality, too—they help keep you dry or cool, depending on the whims of the weather). Maybe it’s the sparkling wines produced here that gives Modena a bubbly demeanor, or maybe the light-hearted pastels of the buildings. Whatever it is, the ambiance of this city of 175,000 residents is pleasant and somewhat reminiscent of Florence with Renaissance influence. The Piazza Grande is a UNESCO-recognized site and a grand central space for gathering with friends, but there are lovely squares scattered around the historic center. The city’s web of cobbled streets hold a plethora of shops from designer clothes to hardware stores along with plenty of cafes, restaurants, and museums to keep everyone happy. The university draws young people from around Italy to study law, medicine, and mechanical engineering not surprising, given the number of automakers in the area. Visit Ferrari, Lamborghini, Maserati, and Pagani (and pay to drive one of the legendary beasts at least once, it’s an experience your visiting family will love). Outside town, vineyards swath the hills and plains, turning out frothy Lambrusco and its lively white equivalent Pignoletto. A good deal of the wine produced here is used to make the area’s renowned balsamic vinegar, a painstaking process that takes years of patient care. You can see the process and sample the goods at the civic acetaia right in the heart of Modena. The countryside is speckled with a host of fairytale castles that are part of a UNESCO World Heritage Site. Hop a train to Bologna, a 30-minute ride that costs just $4. In two hours, you can be in the heart of Milan. And there are airports at both cities for inter-Europe and international flights. Weather-wise it’s not blazing hot or extremely cold in Modena but it can be humid in most seasons. Summer highs run around the mid-80s while winter temperatures will hover around 40 F, though the nights will dip down towards freezing. The rainy season, predictably, is in spring and fall. There is a fine selection of medical facilities in Modena, both public and private, and Italy’s healthcare system is recognized as one of the best in the world. In fact, it was rated second by the World Health Organization. 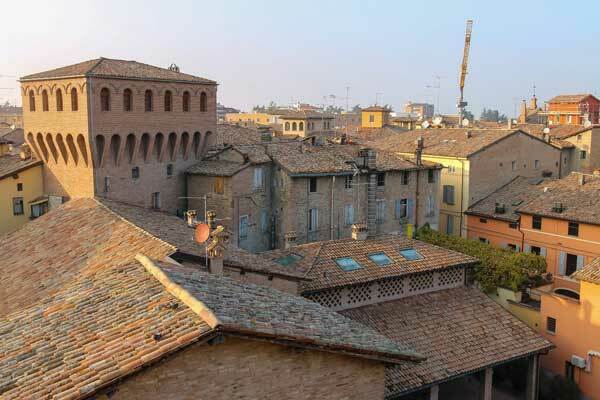 With 175,000 people, Modena is a good size for living well. Big enough to have all the services and amenities you would expect, yet small enough to get around easily and not contend with too much traffic. The Via Emilia slices through the center of the city, the ancient Roman road still a frequented street. It’s dubbed a “piazza-street” because it is the central shopping and gathering hub, and a large swath of the centro storico is pedestrian-only. There’s everything from swanky clubs to hole-in-the-wall coffee bars, and everything in between. Modena is a mecca for foodies with top-rated renowned restaurants, simple trattorias, and piazza-side cafes, all serving great fare. The enticing Mercato Albinelli is a feast for the senses as well as the stomach, a lovely covered market of regional bounty, that also serves a fabulous aperitivo on the weekends (in summer, accompanied by live music). The Luciano Pavarotti theater will satisfy music lovers, and it’s not just opera, either; if you’re not a fan, you can still enjoy a ballet, popular musical productions, and philharmonic concerts in sumptuous surroundings. Museums show off headliner works by Coreggio (born nearby), Tintoretto, Veronese, and more, but modern art lovers will be happy here, too. If that’s not your thing, you’ll certainly be pleased by the selection of wine bars and cafes where you can sip and people watch or shoot the breeze with the regulars. Modena is a well-to-do city without being stuffy. In addition, it is well maintained and well-endowed with parks and culture, thanks in part to Ferrari and other local industrialists whose philanthropy keeps Modena green and clean. The lifestyle here is relaxed, like most places in Italy, but with a touch of class and culture. But those who want the fast lane can have it at the race tracks. One of the benefits of Emilia Romagna is the access to other art cities along the Via Emilia—Parma, Bologna, and Ravenna, but also access to the castle-studded countryside and beyond, the Apennine range for mountain sports. In less than two hours, you can also reach the shore of Lake Garda. Modenas high quality of life comes at a price, but it doesn’t necessarily have to be ruled out as expensive, either. The average price runs $276 per square foot in the city center. Prices go down in the outlying suburban zone, to around $196 per square foot. Go out to the smaller towns in the beautiful countryside and save even more, while being in easy reach of the city. A nice two-story two-bedroom apartment in a centrally-located palazzo complete with some ceiling frescoes and old world details is listed for $221,314. Just outside the centro, you could buy a newly restored two-bedroom home for $179,321, while a restored three-story villa with garden and with 3,200 square feet of space has an asking price of $539,098, located at the edge of the city. Rentals in the centro storico start around $673 and go up to over $2,245 a month, depending on size, amenities, and type of palazzo or area. There will be something for just about any budget. If you dine at the famous Francescana restaurant where a dinner runs $280 a head, not including wine, you could think Modena is off-the-charts expensive. Thankfully, there are plenty of restaurants that show you otherwise. You can eat well, and live well, on a moderate budget. This isn’t a cheap place to live, but it can be affordable if you’re looking for a cultural city with loads of amenities. 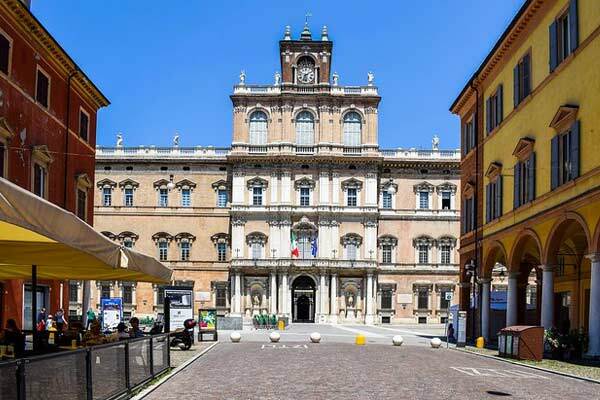 The overall cost of living in Modena is in line with most of northern Italy’s cities. The markets, local food shops, and supermarkets will give you plenty of options to keep your grocery bill around $300 a month or less for a couple. Wine is affordable, even cheap, as are the friendly and fun aperitivi that the locals love—a drink and nice plate of snacks usually costs only $5 to $6. 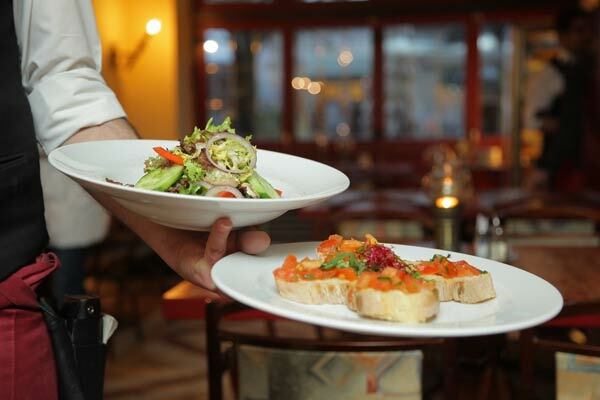 A plate of pasta and glass of wine in a trattoria will cost around $15, and a pizza and beer $10 to $12. You can enjoy all the delicious pasta and delicacies the Emilia Romagna region is famous for without breaking the budget.